When I was a brand new yoga teacher, looking for my first gig, I started searching all over and stumbled on an opening with the city looking for instructors of all varieties. In September of 2016, four months after my teacher training ended, I auditioned with two fitness supervisors and was hired. I started subbing later that month, and in November of that year I added a regular class. It was supposed to be temporary. I was filling in for a teacher going on maternity leave, but she ended up not taking the class back and over two years later... well, time flies! January of 2017, I auditioned for and got my regular Sunday night Restorative class at my home studio, which was so wonderful. It felt good to teach at the place I learned to teach! In March of 2017, I added a second class with the city on Tuesday nights. It was a different rec center, a different style, and I was nervous! But if I've learned anything since becoming a teacher, its that you do the most growth when you push into the slightly scary spaces! In June of last year I added an Align 2-3 class at my home studio. 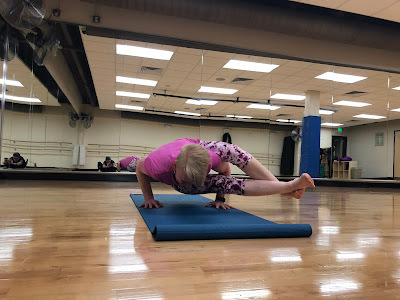 In October, I started subbing at another studio that I practiced at regularly and love, and added twice a week classes while I covered for a friend on maternity leave. In November, I added a regular private class. 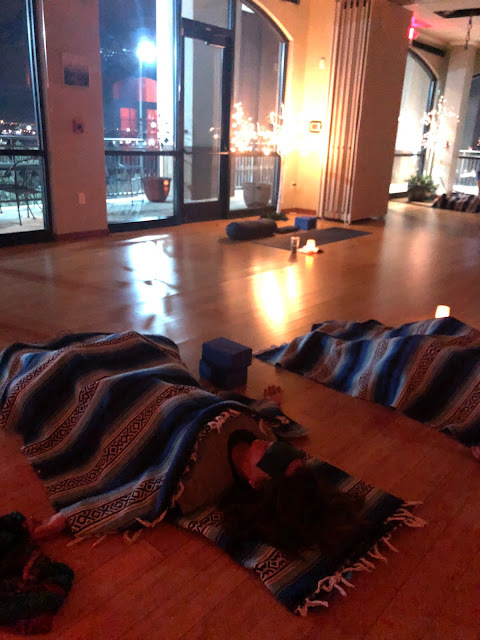 With the addition this month of a third class at my home studio, I knew it was time to let go of my Tuesday night city class. What a decision this was! Just under two years with that class. I loved it, the students (a number of which had been with me since day 1! ), my supervisor... but the drive was long, the timing was hard (rush hour traffic), and it was another night away from my family. With the addition of new classes closer to home, it became time to transition away. My last class was this past Tuesday night. It was sad to let go, sadder then I realized it would be (lets see how crazy next Tuesday night feels! ), but I'm so excited for where these new classes will take me. I definitely feel like they have a lot to teach me and will help me grow as a teacher. Here's to growth and change, even when hard!